It houses the University's Centre for Efficient and Renewable Energy in Buildings (CEREB), as well as our Faculty of Health and Social Care and Department of Education and Sport and Exercise Science. LSBU Vice Chancellor Professor Martin Earwicker stated: "K2 will significantly improve our course delivery and student and staff experience. It will also help to ensure institutional sustainability and bring long-term benefits to the local community." For students and staff, K2 offers refined facilities, including four modern lecture theatres and twelve innovative skills labs. 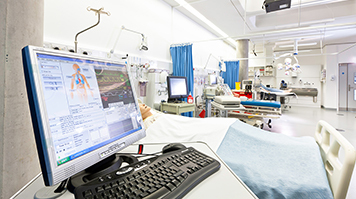 The new skills labs for nursing and allied health professionals are helping to bring learning to life. They feature more modern, spacious teacher education facilities with high quality, flexible accommodation for the school teachers of the future. Mezzanine areas and coffee shops also provide spaces where students can come together. On the top of K2 is the Centre for Efficient and Renewable Energy in Buildings (CEREB) that epitomises the commitment to minimising environmental impact and encouraging sustainable development. The UK's first inner-city centre for research into green technologies, CEREB provides a unique resource for teaching, research and showing how low carbon technologies can be used to create environmentally friendly urban buildings. With its impressive green credentials, K2 sets a benchmark for future building projects. Geothermal energy provides its heating and cooling, while water is heated through solar power. An innovative mesh cladding helps to keep the temperature inside the building constant. Ground source heat pumps meet 100% of the building's heating and cooling needs, while 171 energy piles form one of the largest installations of its kind to date in a public building in the UK. Solar collectors provide around half of K2's domestic hot water demands. As a hub for teaching and learning, as a showcase for green building technologies and as a centre for community activities, K2 is making a major contribution to the life of the University, the local area and the city as a whole. K2 houses many facilities for our School of Arts and Creative Industries and our School of Health and Social Care.